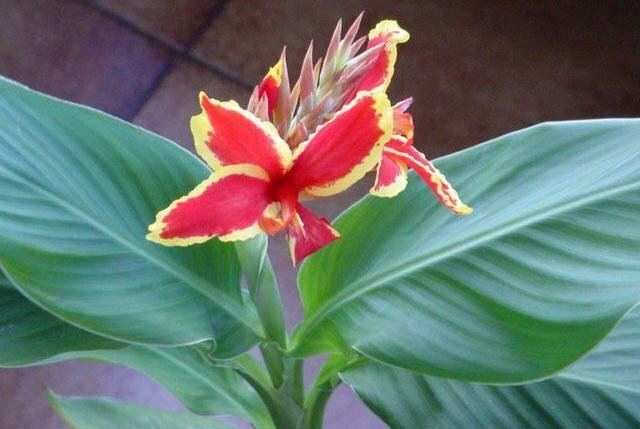 14 December 2002, flowering indoors. 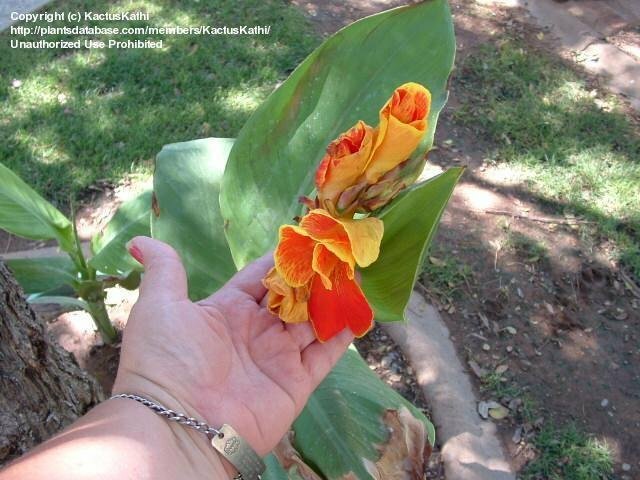 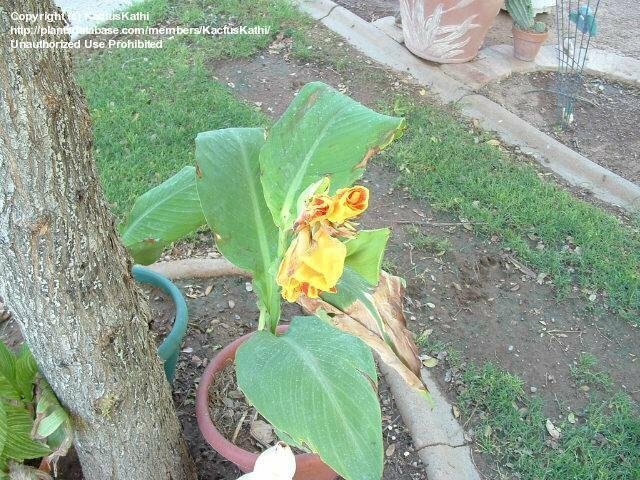 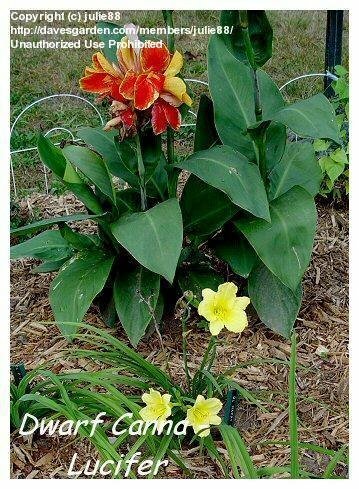 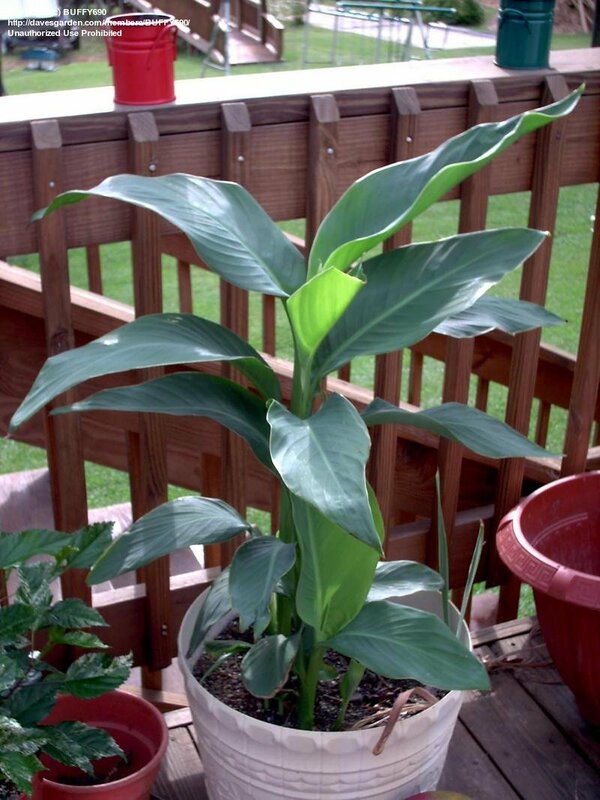 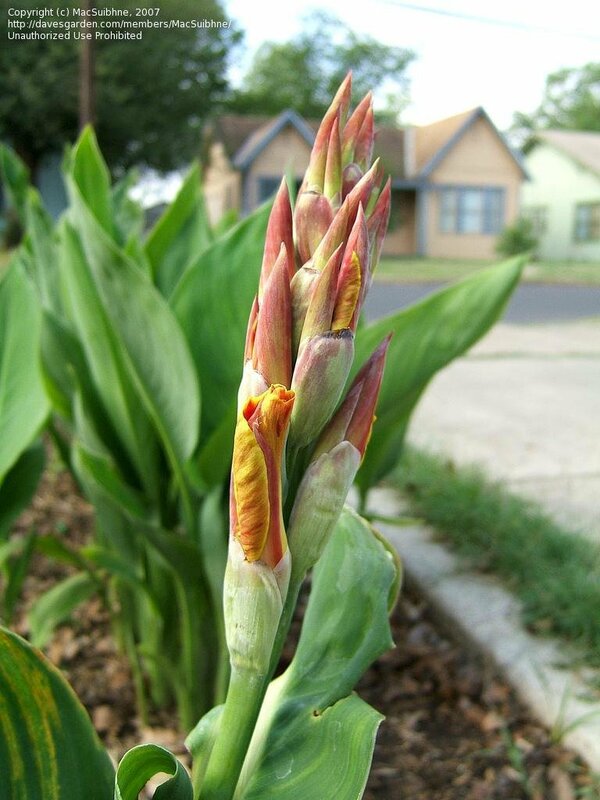 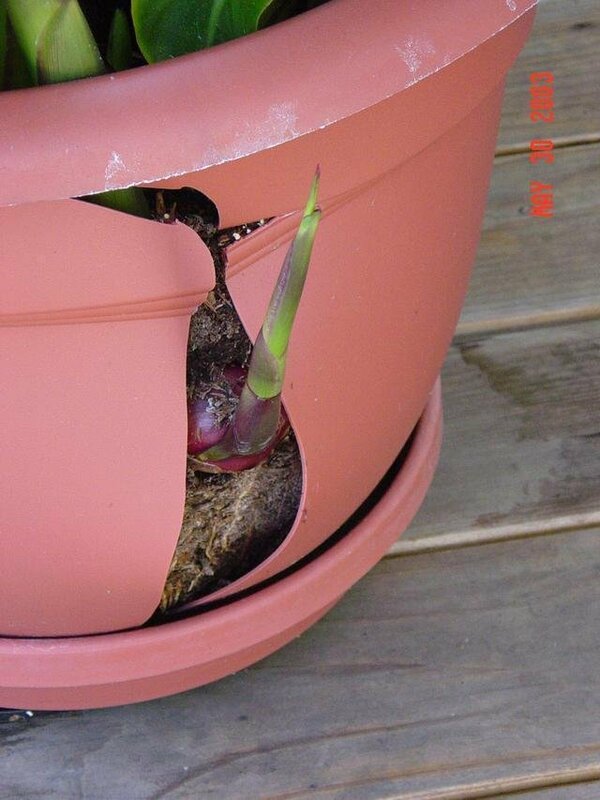 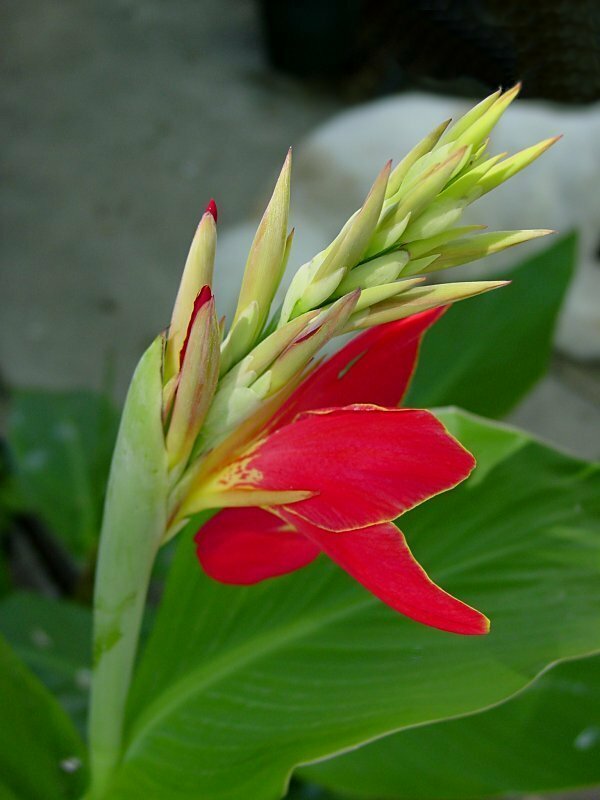 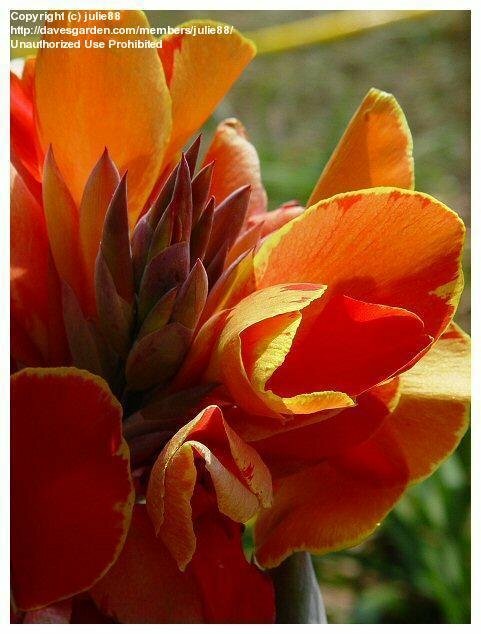 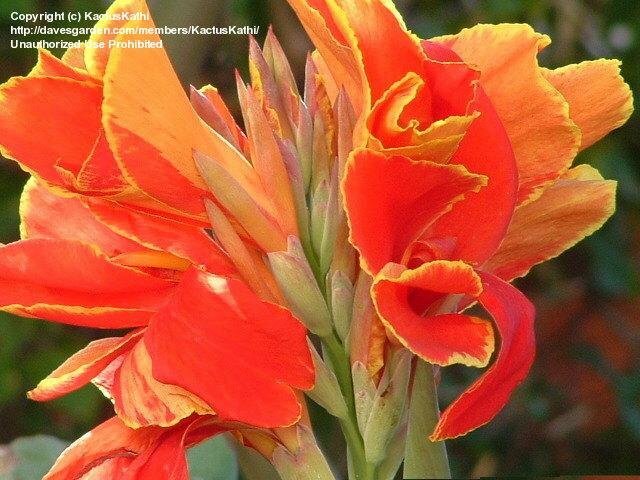 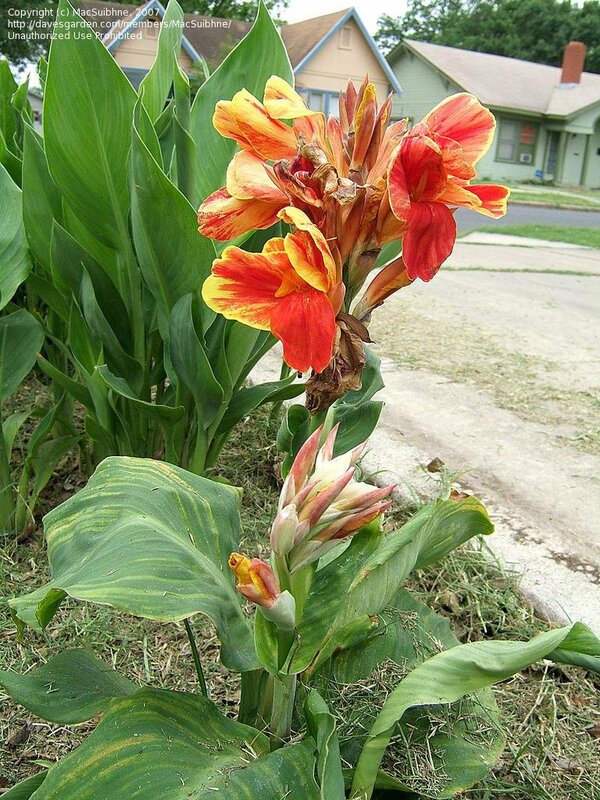 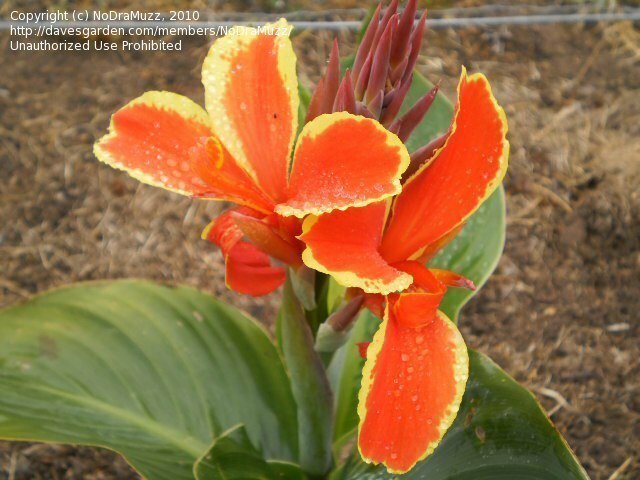 This is the flower head of ONE Lucifer canna! 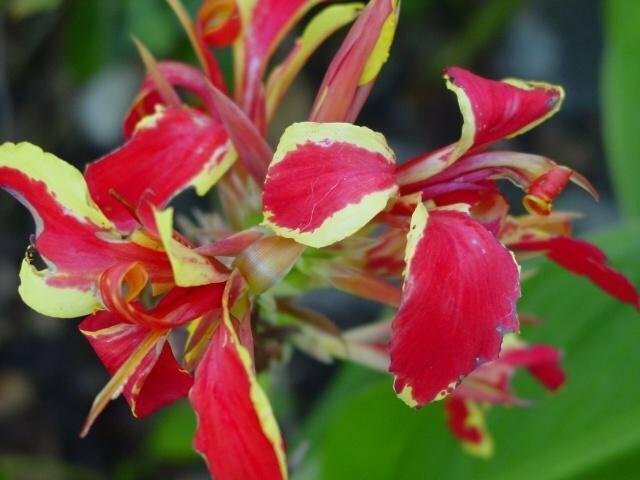 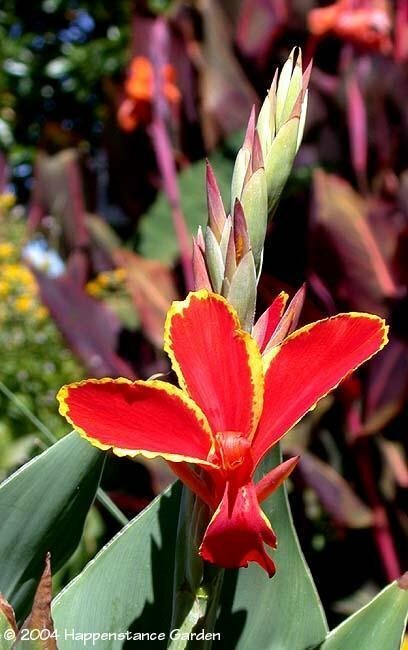 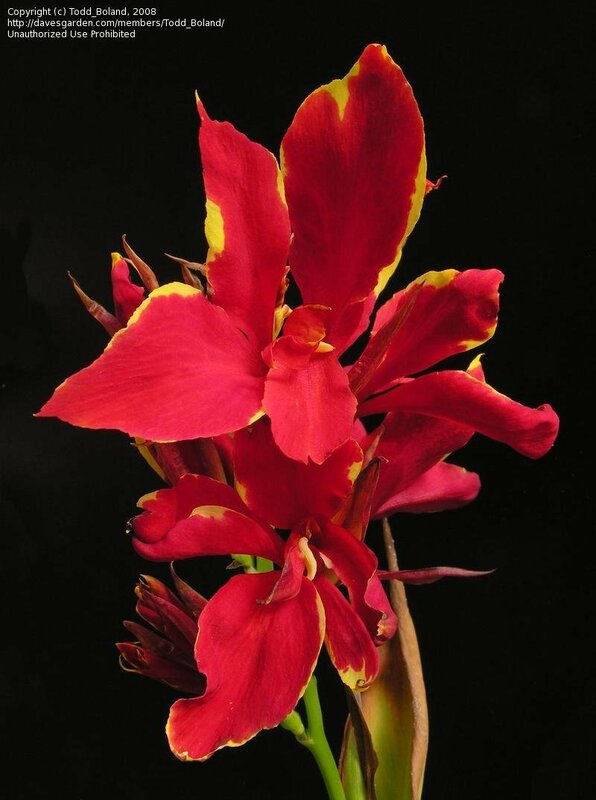 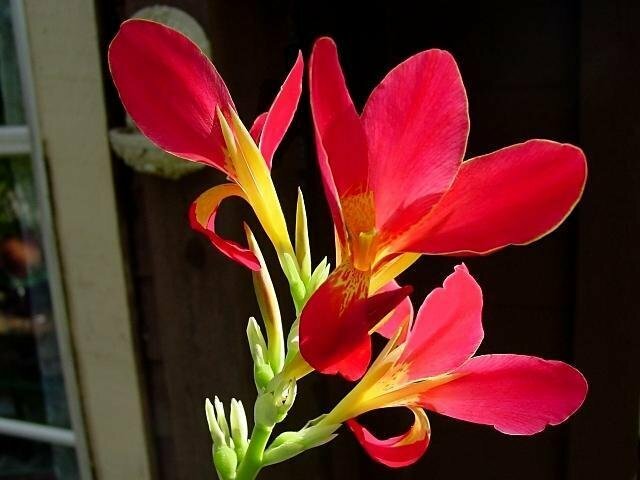 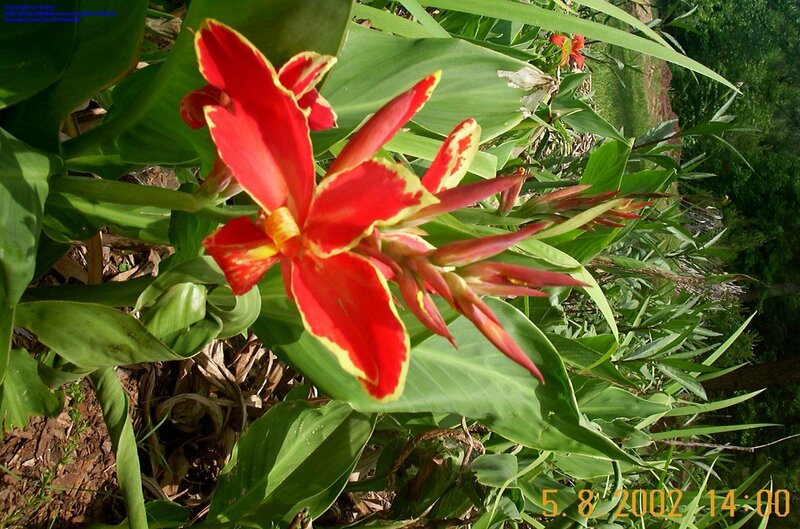 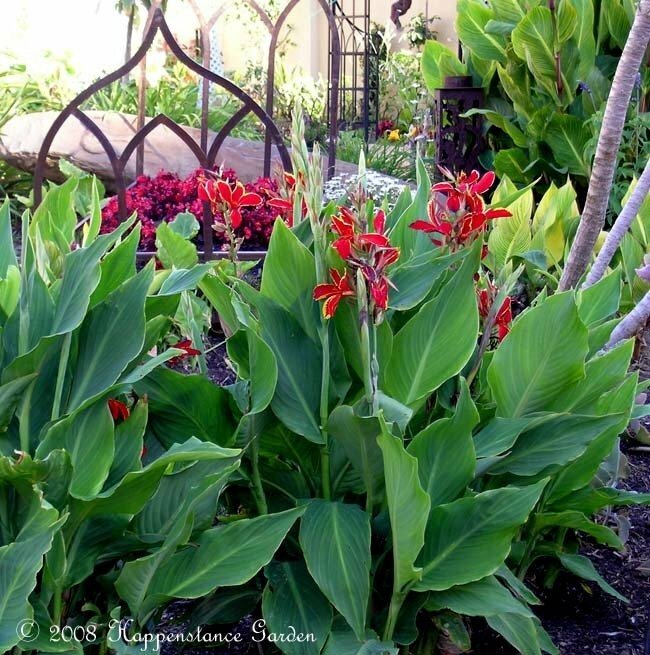 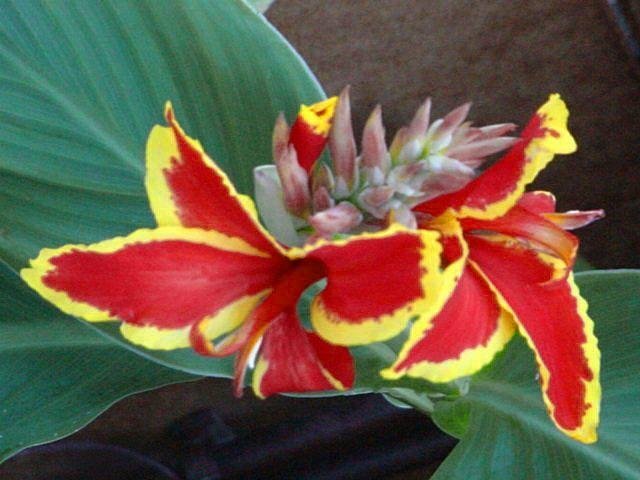 Canna Lily 'Lucifer' with its bright red and yellow colors is a real standout especially when backlit by sunlight. 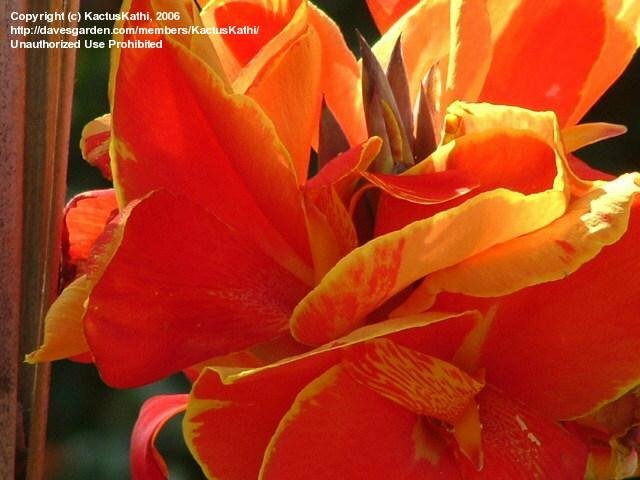 The bloom petals are delicately etched with yellow. 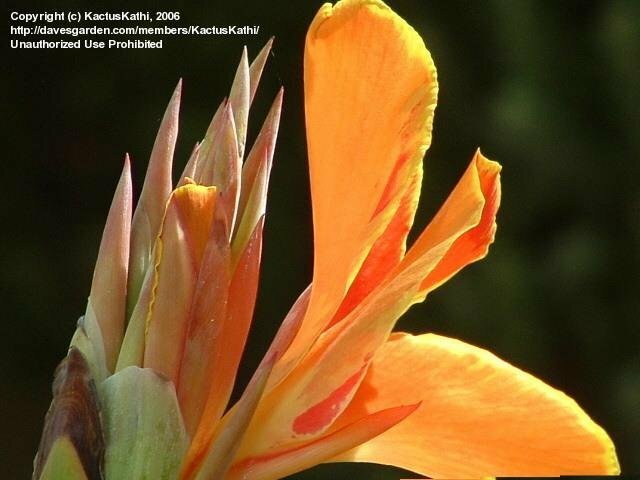 Note the immature seed pods in the lower left of the photo. 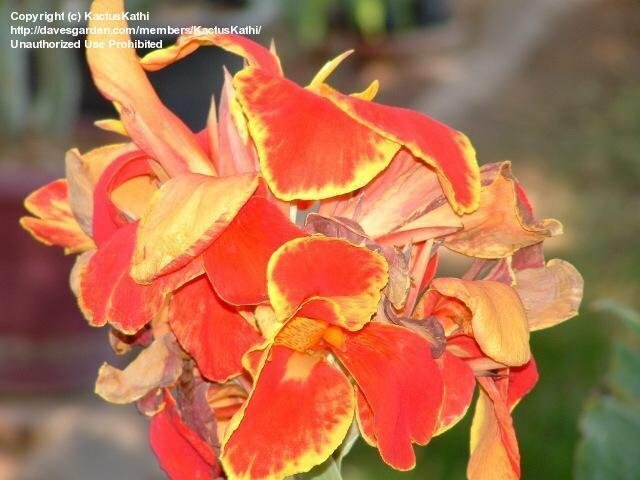 Rhisome taken from tall 'parent' clump: had been growing in elderly lady's garden for 30yrs, in Australia -Lucifer?